Oh no, the AC isn’t working like it should! Whether your AC is barely functioning or just slowing down performance, it’s important to call right away for an Air Conditioning repair in Livermore, Pleasanton, Dublin, CA. Since 1948, Superior Mechanical Services, Inc. has been helping residential and commercial customers get their air conditioners back on track. All our work is guaranteed to restore your comfort and it can even help you save on monthly energy bills, so when in doubt, call us, it’s better to be safe than sorry. Our reviews spell it out, for nearly 70 years, we’ve followed a model of friendly service and consistent attention to detail on repairs, installations, and maintenance. Our customers appreciate us for our honest opinions and money saving tips, as well as our prompt response to urgent situations. Instead of wondering if the person you call will deliver on their word, choose a local business who has proven time and time again, they can do the job right and restore your comfort. Whatever the make or model, our certified technicians have the experience and know how to take care of the problem. We make Air Conditioning repair in Livermore, Pleasanton, Dublin, CA convenient and easy for you by arriving quickly with a professional and positive attitude. Uneven temperatures room to room, coolant leaks, or a jam inside the fan rotors, we’ll get down to the bottom of the problem and explain what’s going on. Don’t let the signs of a failing part or other problem shorten the lifespan of your cooling equipment, call us and make sure your home is safely cooled once again. When you call Superior Mechanical Services, Inc. you’ll see what prompt and reliable service is all about. Starting from the first interaction, your technician will greet you ready to help. We’ll test and check every area to find the problem with your AC and present a plan of action including a written estimate. Give us the okay and we’ll fix your AC in no time. We know waiting for help when your air conditioner isn’t working properly can be miserable, fortunately, our 24 hour emergency line means Superior Mechanical Services, Inc. is quick to respond and schedule your Air Conditioning repair in Livermore, Pleasanton, Dublin, CA. Call us at 925-456-3200 or 888-544-4111 today to get immediate service. 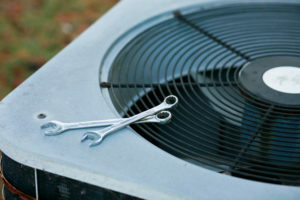 Get a Quote for Air Conditioning repair in Livermore, Pleasanton, Dublin, CA!